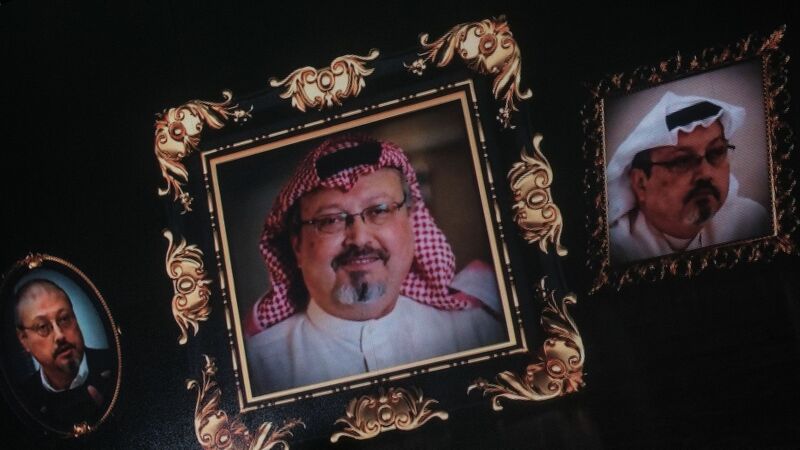 "Shortly after the journalist Jamal Khashoggi was assassinated last month, a member of the kill team instructed a superior over the phone to 'tell your boss,' believed to be Crown Prince Mohammed bin Salman of Saudi Arabia, that the operatives had carried out their mission, according to ... a recording of Mr. Khashoggi’s killing collected by Turkish intelligence," the New York Times reports. Why it matters: "The recording, shared last month with the C.I.A. director, Gina Haspel, is seen by intelligence officials as some of the strongest evidence linking Prince Mohammed to the killing of Mr. Khashoggi." Yes but: "Some Trump advisers have argued that they would need indisputable evidence of Prince Mohammed’s involvement in Mr. Khashoggi’s killing before they would punish him or the kingdom more harshly." "The administration, according to current and former officials, is hoping that making some modest moves on sanctions and curtailing support for the Saudi war effort in Yemen will satisfy critics, including those on Capitol Hill."